Stover Scholars receive $5,000 each year to apply toward tuition, up to an additional $500 toward the cost of academic conferences, and up to $1,000 to defray the costs of an internship. 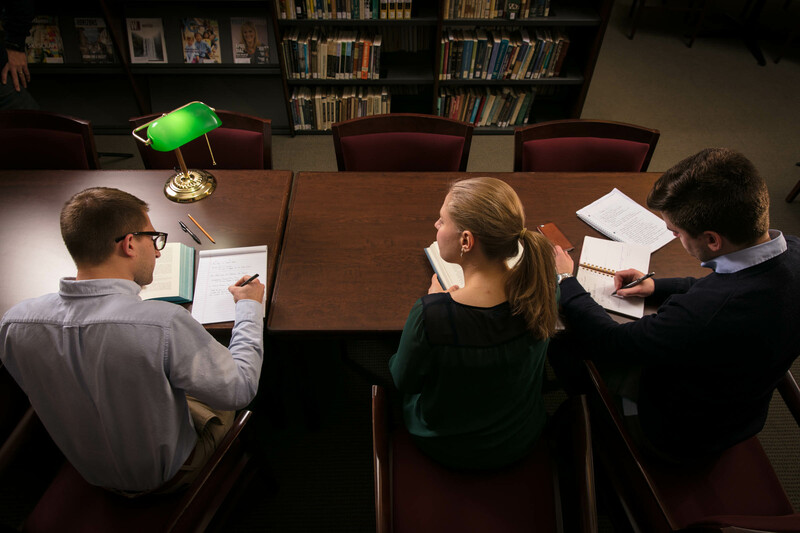 Each year, up to five incoming freshmen at Waynesburg University are chosen to receive Stover Scholarships in Constitutional Studies and Moral Leadership. The scholarships recognize students of academic ability who have a passionate interest in the U.S. Constitution and in applying principles from this landmark document and from Christian ethics in public life today. The Stover program is not a major. Instead, students complete a major of their choice—from history or political science to education or nursing—and in addition take part in Stover program activities. Requirements include attending special lectures; meeting with visiting Stover Constitutional Fellows; and participating in leadership-building experiences such as Constitution Day activities and debates. Scholars are encouraged to complete an internship and are required to maintain a university GPA of 3.0 or higher.